THIS VITAL PIECE OF ADVICE WILL HELP YOU PLAN YOUR WEDDING LIKE A PRO! If you are currently planning a wedding and are anything like me, then you are probably finding yourself totally overwhelmed with the number of options you have when it comes to planning a wedding. For someone who is usually pretty decisive I am constantly second guessing my choices, so much so, that the plans I have in mind for my wedding are changing daily. I wanted to find out if there was a way to eliminate the need to make so many choices and today’s advice from Kristen Wynn Photography, is pretty close to solving my dilemma. “The key is cohesiveness from the wedding through to the bridal shower so the entire wedding planning process appears seamless rather than a collection of randomly planned events!” Kristen began. 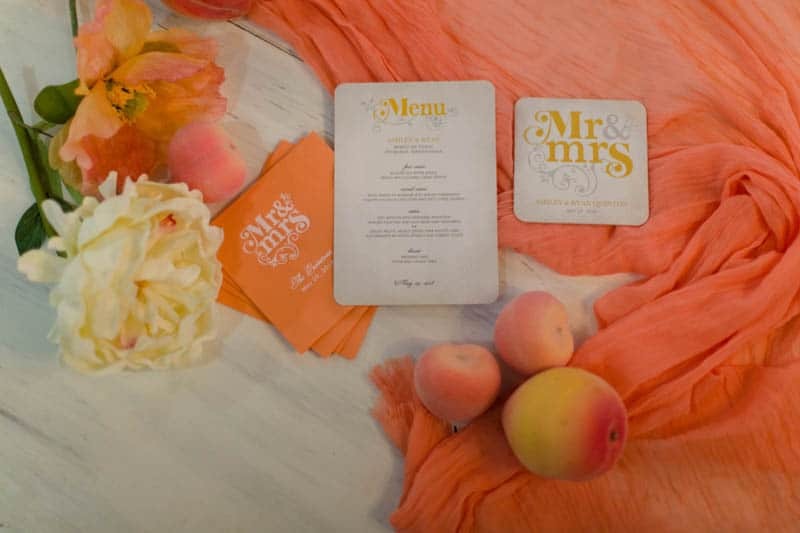 “For example, branding your wedding with colors that inspire you can be a simple and easy way to pull everything together and keep you from becoming overwhelmed by a multiple of ideas and aesthetics.” She explained.